The Conservation Imperative was busy during the month of August contributing to youth education as well as addressing a parliamentary portfolio committee. From 7_13 of August I teamed up with a group of varied experts and 10 select students from 10 different schools. “Ifa Lethu” was intense wildlife education tour held in St Lucia and moving on to Sontuli educational centre in Imfolozi . A more detailed account of the tour can be viewed here. The objective was to educate the students on the complexities and realities of conservation today in the hope that they would impart this information with their piers on return to their respective schools. Proceedings kicked off with presentations on agriculture and mining by speakers Alex Searle and Pat Jennings respectively. A fascinating presentation by Dr. Peter Ardington followed which emphasized the importance of soil as the basis for both farming and wildlife. Poor farming techniques and practices have resulted in the washing away of centuries worth of valuable topsoil; it will take many centuries for nature to replace the soil that has been lost. Alisa Wally gave a sobering account of the situation facing the St Lucia estuary. A number of human interventions along with cyclone Demoina have closed the estuary to the sea resulting in salinity levels fluctuating and ultimately risking the future of the entire estuary. The big question is whether we should attempt to reverse the man-made damage to the estuary system with mechanical intervention or should we “let nature take its course”? The next day the students were flown over the estuary by Bateluers pilots to see first hand the damage done by the dune mining. We then visited Imfolozi park where a presentation by Dr. David Cooper was given at Ezemvelo’s impressive game capture bomas. He spoke passionately about the rhino situation and the need for us to explore alternatives to end the crisis. I initiated a discussion with the students about the realities of wildlife conservation and the difficulties in funding it. We debated the importance of wildlife “paying its own way”. After an exhausting few days the students departed with a changed outlook on wildlife conservation. We would like to thank the Johnny Louw memorial trust and the donors for assistance with funding this venture. A special mention must go to the flying Bateleurswho flew the students on multiple flights over the dunes for free. Our next engagement was with the the parliamentary portfolio committee on sustainable use of wildlife in Cape Town on 14thAugust. Ex Natal Parks Board directors Dr. George Hughes and David Cook gave a presentation in support of the sustainable use philosophy. They argued for the legalization of trade in rhino products in order to save the species. Dr. Hughes highlighted South Africa’s proud history of conservation successes. At a time when when wildlife was viewed as a pest, a policy change allowed landowners to own and profit from game animals, including the white rhino. 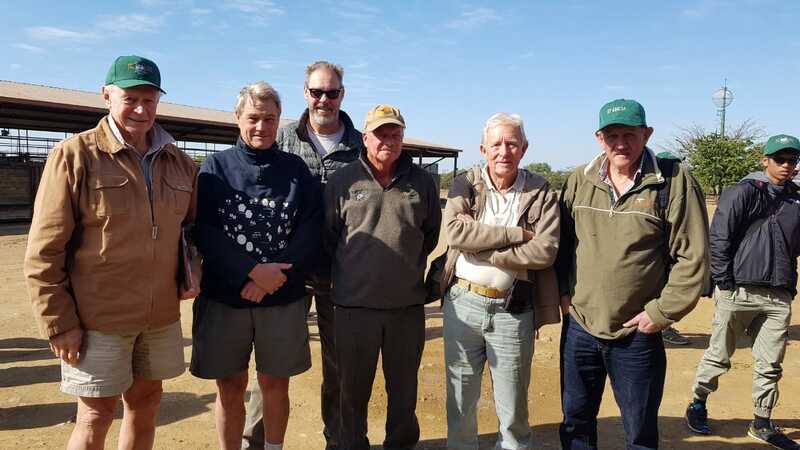 Annual public auctions of a variety of surplus wildlife species raised much needed revenue for the provincial game parks. This policy is still in place today. Dr. Hughes considers this as the world’s biggest conservation success story. On the evening of August 15 a small crowd of erudite conservationists and select journalists gathered for an informal presentation and a question and answer session. Honored guests included Dr. John Hanks and Professor Brian Child. In conclusion August was a very successful month for us. We were pleasantly surprised during the parliamentary portfolio meeting to see politicians put aside their political differences in a genuine effort to find workable solutions to the rhino poaching crisis. A lot was accomplished at the informal meeting. Please click on the link to read the article by Tony Weaver from Safarious. The Conservation Imperative remains committed to pragmatic solutions to conservation issues. Expanding wildlife habitat through sustainable use will encourage sustainable development for the people of Africa. I will end with a quote from Charles the Bold of Normandy. “It is not necessary to hope in order to undertake; and it is not necessary to succeed in order to persevere. It is only necessary to be right and believe in it”.